Well I had the opportunity to take a quick road trip, so of course I grabbed it. I tend to be very tense driving and after hours on the road it is hard to unclench my hands from the steering wheel. So I am always glad to tag along when someone else is doing the driving. And where would I go? 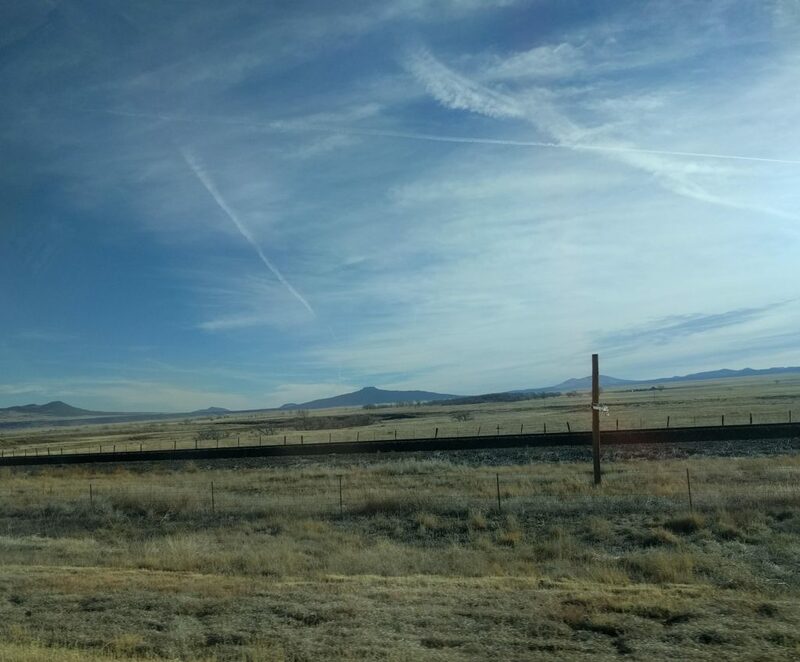 To New Mexico, my favorite and most frequent place to visit. It’s 149 miles to the New Mexico border. 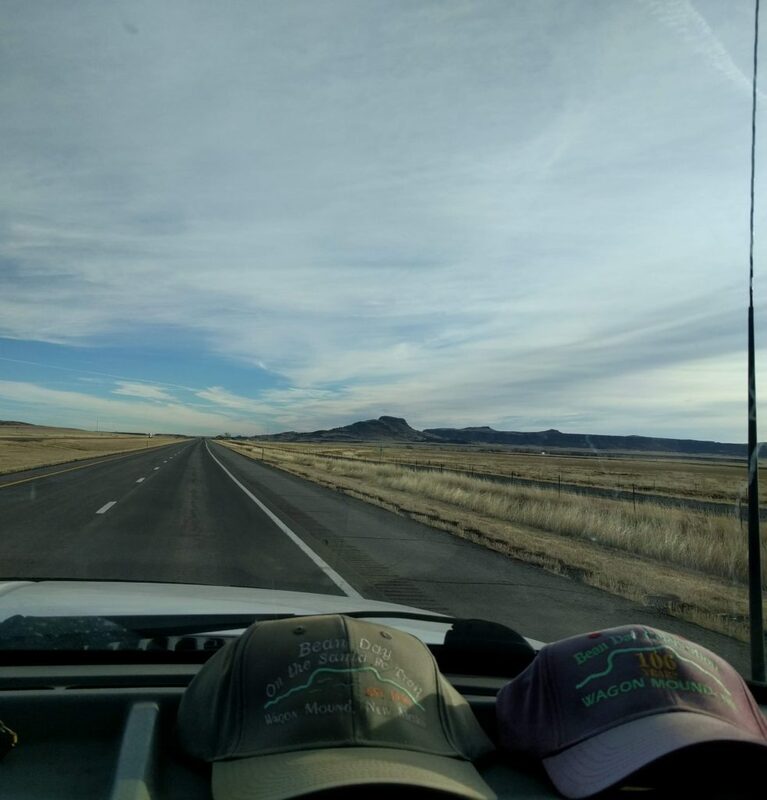 Once one drives over Raton Pass (elevation 7834 feet) one has a splendid view of the open plains. Unlike many photos that I take where I have to hide the fact that there are scads of people just out of view, there really are no people to be seen. This is part of the empty quarter of the state. 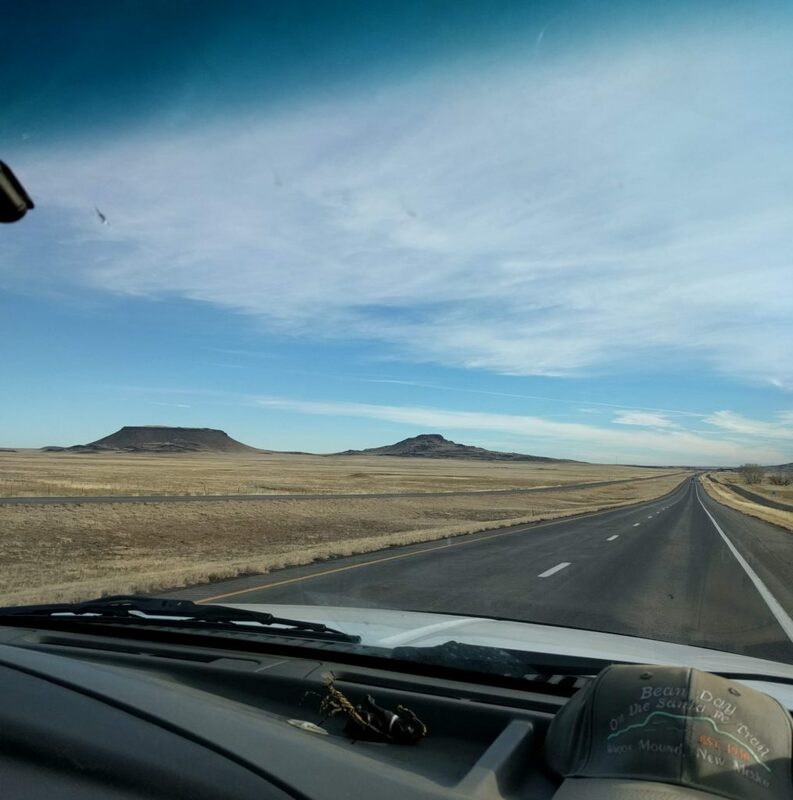 This view shows part of Capulin National Park, one of the first landmarks one sees as one enters the state from the north. There it is, my most photographed landmark of northern NM. I confess that I do get excited every time I see it. Whenever I am there, I am on vacation, so I associate the area with rest and relaxation. If I actually lived there I am sure that I would get tired of all the driving one has to do for shopping, doctors, etc. It really is just a wide spot in the road. And if one crossed the road, one would be at the original site of the village. 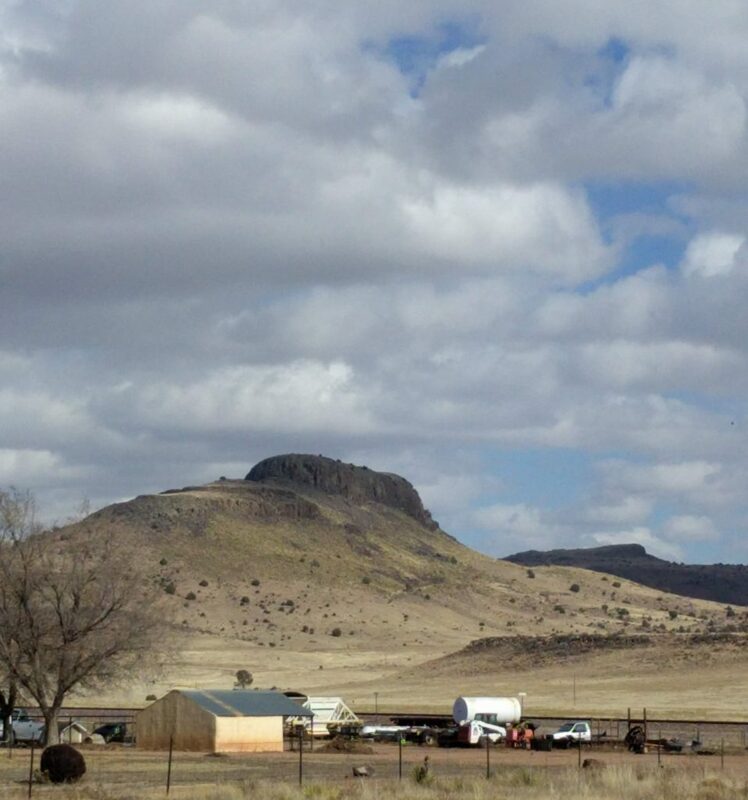 The large mesa is Jarosa Mesa (no idea where the name comes from), and the smaller one is Santa Clara Mesa (named after a saint for some reason). This is the view from M’s uncle’s place. All that stuff lying about is over at the neighbor’s, I think he does a little bit of construction work (or at least he used to). M’s uncle also has plenty of the flotsam of life floating about his yard. It is funny that with all this open space their homes are so close together. Once again it wasn’t hard to crop any people out of the picture, there are under 400 souls in the entire village. I shall miss stopping by if the village gets any smaller, but I will always love the view.